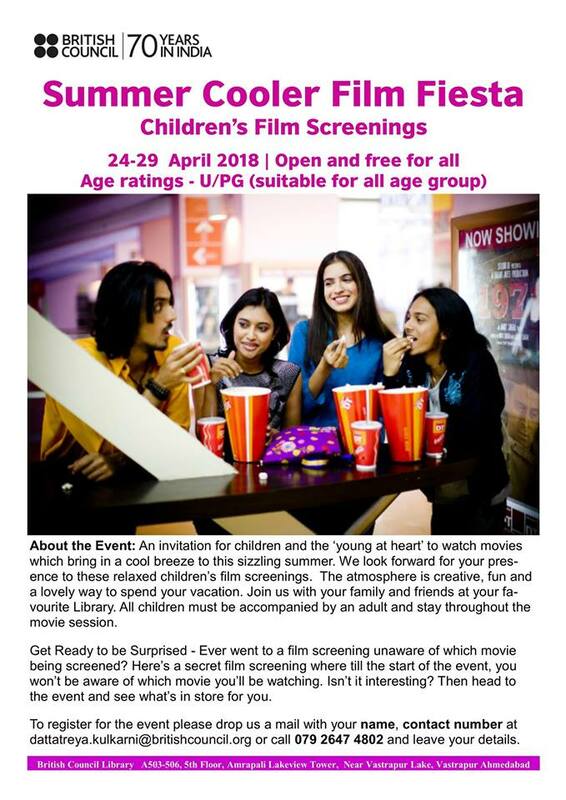 About the Event: An invitation for children and the ‘young at heart’ to watch movies which bring in a cool breeze to this sizzling summer. We look forward for your presence to these relaxed children’s film screenings. The atmosphere is creative, fun and a lovely way to spend your vacation. Join us with your family and friends at your favourite Library. All children must be accompanied by an adult and stay throughout the movie session. To register for the event please drop us a mail with your name, contact number at dattatreya.kulkarni@britishcouncil.org or call 079 2647 4802 and leave your details.